Compact and lightweight, our ECG and Arrhythmia simulator is designed to fit your needs, tool case and budget! 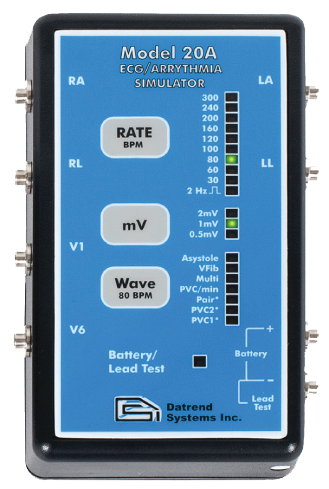 Use this simulators to test your patient monitors, telemetry systems and anywhere a quick ECG or Arrhythmia simulation is needed. The versatile 6-lead configuration provides an additional pre-cordial lead and allows you to check reference leads without the need for a full 12-lead layout.